Will China’s Stock Market Burst? Fueled by record margin debt and unprecedented numbers of novice investors, China’s market capitalization has tripled in the past year to $9.8 trillion. At 84 times projected earnings, the average stock on mainland exchanges is now almost twice as expensive as it was when the benchmark Shanghai Composite Index peaked in October 2007. If the Chinese stock market were to fall, it could have dramatic effects both within and outside China. As much as 80 percent of investment in Chinese markets comes from middle-income Chinese citizens, and a sharp decline in their wealth could spark demands for political change. 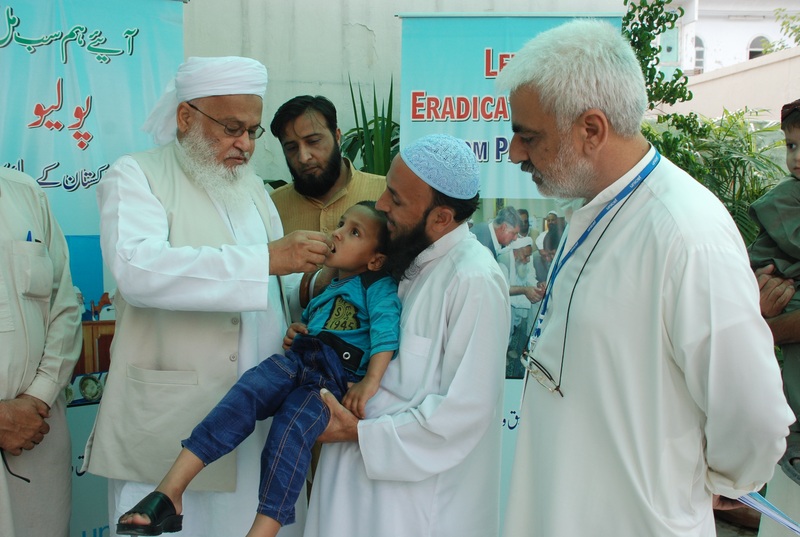 A polio vaccination clinic in Pakistan. The World Health Organization (WHO) yesterday warned that the increasing number of cases of polio in Nigeria, Syria, and especially Pakistan, threatened to undermine three decades of effort to eradicate the disease. Polio, which causes paralysis, muscle atrophy, and even death, was one of the most feared diseases of the 19th and 20th centuries. But the discovery of a vaccine against polio in the 1950s, combined with a massive global effort to vaccinate the world’s population against the disease, reduced the scope of the disease from hundreds of thousands to under 1,000 today. Efforts by the Word Health Organization and various nongovernmental organizations had the world on the verge of eradicating the disease altogether. But a recent upsurge in the number of cases—and the difficulty in vaccinating some populations—has WHO concerned once again. The biggest concerns center on Afghanistan, Pakistan, and Syria. In Syria, the ability of WHO to address a polio outbreak in the contested region of Deir Ez Zour was undermined by ongoing fighting in the country’s civil war and complicated by the massive dislocation of people caused by the conflict. In Pakistan, attacks against polio workers, often painted by militants as western spies, undermined the ability of WHO to vaccinate children, especially in the northern parts of the country. To prevent the spread of the disease outside the country, the World Health Organization has established mandatory immunization checkpoints at Pakistan’s border crossings and airports. Anyone wishing to leave the country will have to provide proof of immunization or be immunized before leaving the country. Similar measures were also put in place in Cameroon and Syria, which are also believed to pose a risk of spreading polio. What do you think? Can polio still be eradicated by the 2018 goal established in 2013? Why does the number of cases of polio appear to be increasing? How does the spread of polio highlight the complex nature of humanitarian crises in the contemporary era? And what might be done to prevent the disease’s spread? An interesting short video clip from CNN’s Fareed Zakaria GPS asks whether we are witnessing the “end of globalization”? It’s an interesting question, and likely one without a clear or easy answer. 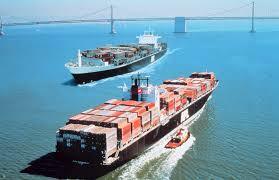 More broadly, I wonder what the end of globalization might even look like? While there is certainly a trend towards the local (just look at all the local food movements), can we envision a world without significantly high levels of global exchange? Just think of all the ways we are connected globally in our daily lives, and ask yourself, what like would look like without all those things? But like many campaign sound bites, this message misses the complexity of globalization and its impact on jobs in the United States. This video, produced by the New York Times, illustrates the challenge of maintaining jobs in the face of low wage competition from the developing world while simultaneously arguing that globalization results in a shifting of employment, increasing the need for highly skilled employees. It’s a good way to complicate what can sometimes be a tired debate. [This post was originally blogged at Politics Matters and is reposted here with permission]. Gum Arabic: The Next Conflict Resource? According to a report by the BBC, ongoing fighting in the Darfur region of South Sudan is being fuelled in part by demand for gum arabic. The BBC notes that more than 60 people have died in fighting for control of an arid region of Darfur between two groups seeking to control an area of pasture and acacia trees from whose sap the gum is made. Gum arabic is a popular stabilizer used in many soda drinks, gumdrops, marshmallows, M&Ms. It has other non-food uses as well, including in show polish, lickable adhesives on stamps or envelopes, and in various printing processes. 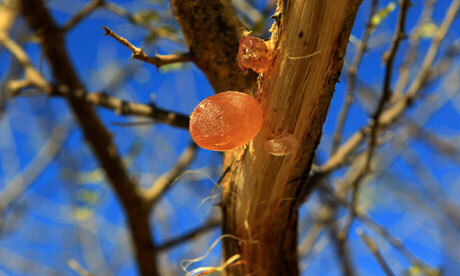 Sudan is the world’s leading producers of gum Arabic, accounting for approximately 80 percent of global output. An estimated 5 million Sudanese farmers depend on gum Arabic for their livelihoods. Interestingly, Sudan’s control of the world’s gum arabic supplies has given it a degree of leverage in global politics. In 1997, when the US Congress was looking to impose sanctions on the Sudanese government for supporting terrorism (and for giving refuge to Osama bin Laden), the beverage industry successfully campaigned to limit the sanctions and exclude trade in gum arabic from the list of embargoed items. As a result, Sudan was largely spared the real impact of the sanctions. Neither Coca-Cola nor Pepsi will confirm the source of their gum Arabic, though given Sudan’s dominant position in global production it seems unlikely they can avoid sourcing at least some of their supplies from the country. When people learned that the wars in Sierra Leone, Côte d’Ivoire, Liberia and elsewhere were being funded through “blood diamond” sales, a campaign was launched to stop the practice. The Kimberly Process, however imperfect, was the result. Then there were conflict resources (think coltan used to make cell phones and other consumer electronics and used to finance the war in the Democratic Republic of the Congo) and later “blood chocolate” in Côte d’Ivoire and Ghana. One wonders when gum Arabic will make the list of conflict resources. Indicted war criminal Joseph Kony is the subject of the viral video "Kony 2012," part of an effort to bring him to justice. The Kony 2012 video has created enormous buzz on the internet over the past week–first as the video went viral, then as a heated debate ensued about the accuracy, effectiveness, and transparency of the Kony 2012 campaign and its creator, the NGO Invisible Children. 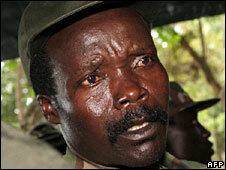 Even in Uganda, among the victims of Kony’s LRA, the video has provoked harsh criticism. Like the Arab Spring (which was driven in part by social media technology like Facebook and Twitter), the Kony 2012 phenomenon relies on this new technology to bypass traditional modes of communication, mobilize large numbers of people, and (the organizers hope) put pressure on very powerful people in top government positions to change their policies. In fact, the Kony 2012 video claims that in this “new world” of social media and individual empowerment the traditional power pyramid (with a small group of wealthy, powerful elites on top) is becoming inverted. That is, the masses are finally becoming empowered and claiming their place at the top of the power structure, with the growing ability to bend the elites to their will. The Kony 2012 creators suggest in the film that these techniques led to President Obama’s decision last October to send 100 U.S. troops to Uganda in pursuit of Kony and his henchmen. This empowerment of the individual and the ability to bypass or influence traditional power structures such as state governments, big media outlets, and big corporations is viewed by many political scientists as an important outgrowth of globalization. But these elite structures are not going quietly, and in places like Syria, Iran, and Egypt, the backlash has been fierce. What do you think? Are the creators of the Kony 2012 campaign correct that the power pyramid is becoming inverted, or does a small group of elites really still hold the reins? If you have watched the Kony 2012 video, do you think the filmmakers’ proposed strategy to capture Kony is going to work, or is it naive? If the critics are correct that the film stretches the truth and seriously oversimplifies the issues, does this make the effort any less worthwhile? Is shading the truth justified in the pursuit of a righteous cause?